An overview of Ray Carney's life and work follows. To buy any of the books or articles mentioned, please go to the Bookstore section of the site by clicking here. At Boston University he is Professor of Film and American Studies. For approximately ten years, he served as Director of the graduate and undergraduate Film Studies Programs and Chair of graduate admissions in Film Studies. He resigned in the summer of 2005. 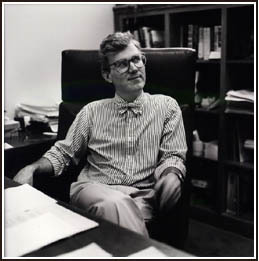 Click here to go to a description of the program during his tenure as Director. To read an account of the motion to censure Prof. Carney and to attempt to force him to take his web site down, click here. He teaches courses on American film, literature, and art (including painting, dance, drama, and philosophy); European art film; acting; and the relation of film and the other arts. Click here to see the syllabi used in some of Prof. Carney's film, literature, and other arts courses. He is generally acknowledged to be the world's leading scholarly authority on American independent film and American art film. He has written extensively about the "off-Hollywood" movement, lectured at American and European film festivals and special events, and been interviewed about American independent filmmaking throughout the world. Professor Carney has appeared on radio and television in Europe, Asia, America, and Australia, and his books and essays have been translated into French, Spanish, Portuguese, Greek, German, Italian, Danish, Hungarian, Austrian, Korean, and Japanese. He has lectured on or moderated panel discussions about independent film at more than one hundred special events or screenings, speaking directly to more than forty thousand people in Europe, Canada, Australia, and the United States. Click here to go to the Independent Film Pages and read selections from Prof. Carney's lectures, interviews, and writing about independent film. He is an expert on the life and work of John Cassavetes. He knew the filmmaker personally and wrote the first book ever devoted to his life and work. His books about Cassavetes include: American Dreaming: The Films of John Cassavetes and the American Experience (University of California Press, 1985), The Films of John Cassavetes: Pragmatism, Modernism, and the Movies (Cambridge University Press, 1994), John Cassavetes: The Adventure of Insecurity (Company C, 2000), Cassavetes on Cassavetes (Faber and Faber/Farrar, Straus and Giroux, 2001), the BFI Film Classics volume on Shadows (British Film Institute Publishing, 2001), and A Detective Story – Going Inside the Heart and Mind of the Artist: A Study of Cassavetes' Revisionary Process in the Two Versions of Shadows, which greatly revises and expands the material printed in the BFI volume. He also edited a coffee table picture book devoted to Cassavetes in French: John CassavetesAutoportraits (Paris: Editions de l'Etoile/Cahiers du cinema, 1992), and a study of the films in Japanese: John Cassavetes: Men and Women in Love (Tokyo: Keiso-Shobo, 1997). Neither of these last two books has yet been published in English. He guest-edited and contributed extensively to the "John Cassavetes Special Issue" published by Post-Script magazine in 1992, and contributed to Film Comment's posthumous tribute to Cassavetes in 1989. His memorial essay on the filmmaker, "The Adventure of Insecurity: The Life and Work of John Cassavetes" was named co-recipient of the prize for "best essay of the year by a younger scholar" by The Kenyon Review in 1990. Click here to go to the John Cassavetes Pages and read selections from Prof. Carney's interviews and writing about Cassavetes. 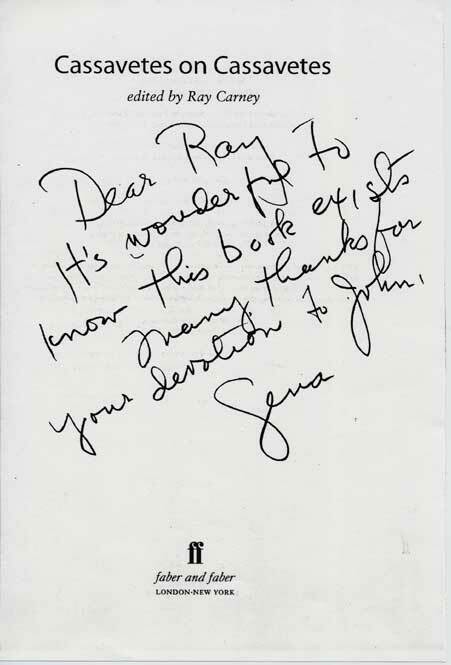 To mention two books that have not yet been published: Prof. Carney is currently completing two biographical studies that will revolutionize the understanding of Cassavetes' films and working methods: John Cassavetes on Art and Life and John Cassavetes: What is Art?, a critical/intellectual biography exploring the relation of Cassavetes' art and life. Click here to read a brief statement about the intellectual biography, if you are interested. "I am still in LA, working on *** , which is coming along. Real progress. This evening saw Z CHANNEL, a new documentary by Xan Cassavetes. *** I spoke with her after the screening. I thought you might like to know that she absolutely loves CASS ON CASS. Says she sleeps with it. Says it's enabled her to have conversations with her father she never had." In 1989, he curated festivals and moderated panel discussions about Cassavetes' work for the French-American Film Workshop in Avignon and the Cinematheque Francaise in Paris. 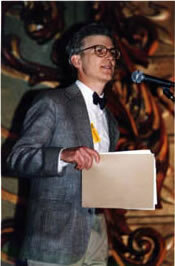 In 1989 and 1990, in collaboration with the Walker Art Center and the Pacific Film Archive and University Art Museum at Berkeley, he presented the fifteen-city American tour of Cassavetes' films (the first time the complete films were ever shown in a single program, not counting Prof. Carney's own classroom screenings of the works), wrote the souvenir program and individual screening notes for each film in the tour, and introduced the films, lectured, and organized and led panel discussions at the various screening sites featuring Cassavetes' friends and collaborators (Elaine May, Peter Falk, Seymour Cassel, Al Ruban, Ben Gazzara, Jonas Mekas, Ted Allan, Sam Shaw, and others). In 1994, he hosted a reunion of the cast and crew of Shadows (including Lelia Goldoni, Hugh Hurd, Maurice McEndree, George O'Halloran, and others) for a special screening and panel discussion of the Beat Film Festival at New York University. 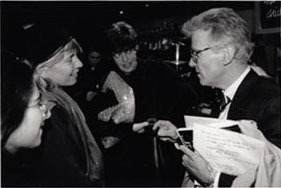 In 1997, he organized and presented "Love on the Edge," the six film touring retrospective sponsored by Miramax, wrote the souvenir program to accompany the screenings, and participated in the celebrity panel discussion at the Paris Theater in New York (featuring Peter Bogdanovich, Sam Shaw, Al Ruban, and others). In 1999, he presented "An Evening with John Cassavetes" for the Danish Film House in Copenhagen, Denmark and toured Australia as a representative of the U.S. Department of State and a guest of the Sydney and Melbourne Film Festivals, speaking to more than ten thousand people in Sydney, Canberra, and Melbourne about Cassavetes' work and American independent film. In 2000-2001 he toured a number of film archives presenting a video show titled "The Unknown John Cassavetes," screening unreleased, unknown, and otherwise unavailable films and videotapes from his private collection showing Cassavetes acting, rehearsing actors, and talking about his work. In November 2001, he conducted a one hour on-stage interview with Gena Rowlands in front of 1000 people as the opening night event for the Virginia Film Festival and participated in a six-day retrospective of her work which she attended and introduced. In January 2003, he conducted the first East Coast screening of the restored UCLA print of Shadows at the Coolidge Corner theater in Boston, and conducted an on-stage interview with Tony Ray about the making of the film to a standing-room-only, turn-away audience. Prof. Carney has also advised, curated, and introduced major screenings at and film programs for the Harvard University Film Archive. The two most recent events were eleven days of screenings in the summer of 2007 devoted to showcasing the work of "emerging or undiscovered new talents" in American independent film. More than fifteen writers, directors, producers, and others associated with these new or unreleased works were present at the events and conducted extended discussions with the audience. Click here to read the program notes and the lists of titles and visiting directors. The second event occurred in November 2007, when Prof. Carney helped to organize and host the world premiere screening of Rob Nilsson's entire nine-film 9@Night series of interconnected works (almost 15 hours of film in all) at the Harvard Film Archive. Prof. Carney curated and introduced various screenings, at which Nilsson and others associated with the films were present and conducted question-and-answer sessions and lengthy discussions with the audience. Click here to read the program note and list of titles for the Nilsson events. "THE BEST FILM BOOK EVER WRITTEN." 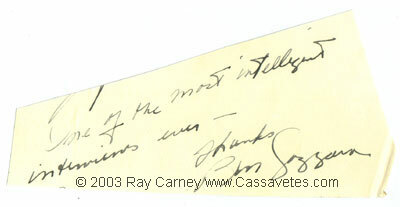 Ray Carney has also made a name for himself as the discoverer, presenter, and popularizer of dozens of new, unknown, or lost works of art. There are too many instances to cite more than a few representative examples. As a graduate student, he discovered a previously unknown source for the first five books of William Wordsworth's poetic masterpiece, The Prelude in Reverend Joseph Simpson's Science Revived, or The Vision of Alfred, a forgotten Augustan epic. When he curated the Beat show for the Whitney Museum of American Art, Prof. Carney discovered and screened a major new work that had not been seen in more than forty years: Frank Paine's Motion Picture, a film which had never been written about before. (Click here for more information about that work.) He has discovered, introduced early screenings of, or brought to public attention previously unknown or neglected works by many American independent filmmakers, works which are now recognized and appreciated because of his championing of them – including films by Morris Engel, Lionel Rogosin, John Korty, Barbara Loden, Robert Kramer, Gordon Erikson, Charles Burnett, Mark Rappaport, and Caveh Zahedi. 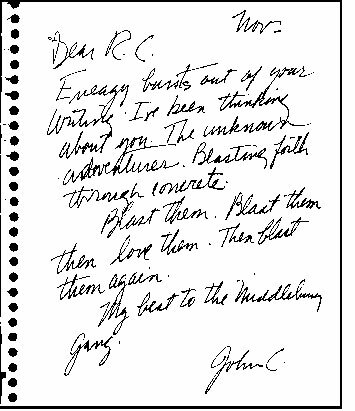 Prof. Carney's writing on John Cassavetes, particularly in his Cassavetes on Cassavetes and Shadows books (click here for information about the first book and here for information about the second) has brought to light hundreds of previously unknown facts and events about the life of the filmmaker and completely changed the understanding of the production history of his work. Prof. Carney is the first writer to have told the complete behind-the-scenes stories of the making of all of Cassavetes' films. His greatest intellectual coup was to recount the previously unknown story of the production history of the two versions of Shadows. To the surprise of the world, he revealed that—in direct contradiction of the statement that ends the film about its being "improvised"—Cassavetes employed screenwriter Robert Alan Aurthur to "story doctor" the second version and write a series of scenes to be inserted into the movie. 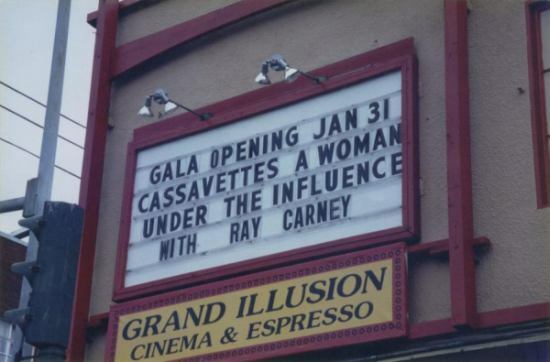 Many of these facts were revealed to Carney by Cassavetes himself in a "Rosebud" conversation shortly before his death as well as through interviews with the actors and crew members of the various works in the final years of their lives. Most recently, Ray Carney made two of the most important film discoveries of the past one hundred years. He located one of the long prints of Cassavetes' Faces and two years later, after seventeen years of searching, in November 2003 found the legendary lost first version of Cassavetes' Shadows, a completely different film from the known version – in effect adding a new first film to Cassavetes' body of work and an important new work to the canon of American independent film. In January 2004, he unveiled the discovery at two standing-room only screenings at the Rotterdam International Film Festival in the Netherlands. The screenings attracted critics, reviewers, and scholars from around the world, and the discovery has been written up in more than 100 newspapers and magazines from Japan to Italy to the U.K. (although very little has been written about it in the U.S. where Hollywood values and interests prevail even in so-called serious cinematic writing). Prof. Carney has been besieged with requests to show the print in England, Europe, Asia, and the Far East. As part of the announcement of the discovery, he published a long piece in the London Guardian describing the quest and was interviewed by more than 20 European publications. For more information about each of these major cinematic discoveries, click on this link for Faces and this link for Shadows. Professor Carney has published a number of other books on art, film, criticism, and culture. They include The Films of Mike Leigh: Embracing the World (Cambridge University Press, 2000). Click here to read about it. American Vision: The Films of Frank Capra (Wesleyan University Press, 1996). Click here to read about it. Speaking the Language of Desire: The Films of Carl Dreyer (Cambridge University Press, 1989). Click here to read about it. He has also written: Why Art Matters: A collection of essays, interviews, and lectures on life and art; Necessary Experiences – What art can show us about ourselves and our culture; and What's Wrong with Film Courses, Film Criticism, and Film Reviewing – And How to Do It Right. Click here and here to read excerpts from those books. He has also published general-interest critical and cultural pieces in a variety of national magazines and journals, including The New Republic, Partisan Review, The Georgia Review, The Chicago Review, Raritan Review, The Boston Phoenix, The London Times, and Film Comment. Interviews with him have appeared in many national and international magazines, including: Switch (Tokyo), Visions (Boston), The Christian Science Monitor, and The Baffler (Chicago). He has written about independent film and the "boutiquing" of the independent movement for MovieMaker magazine for more than ten years, contributing the two-part "Fake Independents and Reel Truth," the three-part "The Path of the Artist," and the two-part "Art, Life, Hollywood, Independent Film, Critics, Professors, and How to Make a Fortune in Real Estate." Click here and here to read excerpts from these pieces. 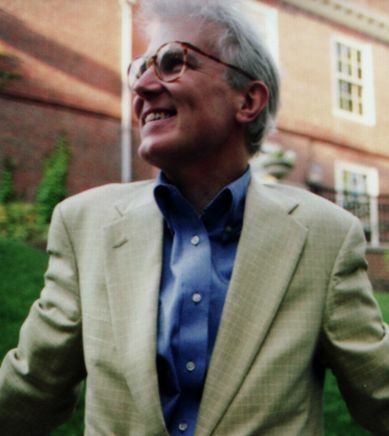 For more than a decade, Professor Carney served as the General Editor for The Cambridge Film Classics series, published by Cambridge University Press. Prof. Carney commissioned, edited, and published individual volumes on a wide range of American and international filmmakers, including Joseph Losey, Woody Alllen, Alfred Hitchcock, John Cassavetes, Paul Morrissey, Vincente Minnelli, Orson Welles, Roberto Rossellini, Jean-Luc Godard, D.W. Griffith, Peter Greenaway, Wim Wenders, Mike Leigh, Federico Fellini, Michaelangelo Antonioni, and other figures and movements (including a volume devoted to avant-garde film), in "new auteurist" studies authored by many of the most important comtemporary film scholars and cultural critics, including Peter Bondanella, Sam Girgus, Amy Lawrence, Robert Kolker, Scott Simmon, David Sterritt, James Naremore, Leonard Quart, Robert Garis, Maurice Yacowar, Peter Brunette, Scott MacDonald, and others. 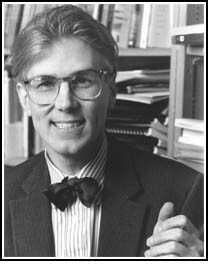 Prof. Carney was a scholarly advisor for and appeared on camera in The American Cinema, the ten-part television series broadcast on PBS in the spring of 1995 and rebroadcast several subsequent times. He co-curated and contributed three essays to the catalogue of the Whitney Museum's Beat Culture and the New America 1950-1965, show that opened in New York in 1995 and traveled to Minneapolis and San Francisco in 1996. Click here to read excerpts from the catalogue. He has served as a consultant on film and American art for the Walker Art Center, the Whitney Museum of American Art, the Museum of Modern Art, National Public Radio, and numerous television programs and newspapers. 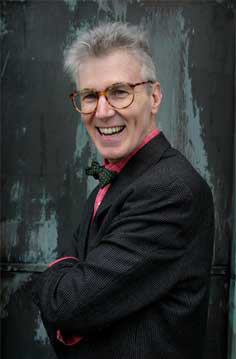 He was a charter member of the advisory board of the Boston Film Festival and, for many years, was the founding presenter of the festival's annual "Independent Filmmaker" award and moderator of a panel discussion that featured on-stage conversations with major artists and others connected with the arts -- from Eric Begosian to Ismail Merchant to "Bobcat" Goldthwait. He currently serves on the board of advisors for the Boston Independent Film Festival, one of the most important screening venues for independent filmmaking east of Austin. He has programmed films for, advised, or lectured at numerous national and international film festivals, including the Sydney Film Festival (Australia), Festival de San Sebastian (Spain), the Rotterdam Film Festival, the Berlin Film Festival, the Sundance Film Festival (Park City), The San Francisco Film Festival, and the USA Film Festival (Dallas), the Virginia Film Festival, the Denver International Film Festival, the Olympia Film Festival (Washington), and too many others to list. In the areas of literature and culture, Professor Carney has edited literary editions of Henry James' What Maisie Knew and The Spoils of Poynton (New American Library); Henry Adams' Mont Saint Michel and Chartres (Viking Penguin); and Rudyard Kipling's Kim (New American Library). He contributed a major essay on pragmatic aesthetics, "Two Forms of Modernism: Pragmatic and Visionary," to Townsend Ludington's An American Mosaic: Modernism in the United States (University of North Carolina Press, 2000). His contribution to Morris Dickstein's The Revival of Pragmatism: New Essays on Social Thought, Law, and Culture (Duke University Press): "When Mind is a Verb: Thomas Eakins and the Work of Doing," was singled out for special praise in the April 1999 New York Times Sunday Book Review discussion of the volume by Alan Wolfe. In addition to the two Cassavetes books, he is currently completing three other books: a critical history of American independent filmmaking, The Real Independent Movement – Beyond the Hype; a study of late nineteenth- and early twentieth-century American painting and its relation to pragmatic aesthetics; and a volume on Henry James' late fiction. His web site: www.Cassavetes.com has more information about his career and publications. He freelances for a fee as a confidential script consultant and advisor to a number of actors and directors in New York and Los Angeles, and also offers private, personally-tailored seminars, tutorials, and lectures in artistic appreciation to selected individuals and groups. He may be contacted at raycarney@usa.net. He is an avid, insane, fanatical blader (Coyotes, Outbacks, and Crosskates), biker (off-trail), kayaker (expedition touring), runner and hiker, and skier (cross-country). His "strictly for fun" activities on rainy nights involve reading Balzac or Proust, teaching himself molecular biology, or listening to Bach (slowly, haltingly working his way, note by note, page by page through the wonders and mysteries of the Johann Sebastian Bach's Werke. Bach-Gesellschaft zu Leipzig edition). Note: New visitors seeking an overview or quick introduction to the site are recommended to go to the Mailbag pages by clicking on the blue ticket icon in the left menu of this page (and most other pages), by clicking on the Mailbag listing in the top menu of this page, or by clicking here. The Mailbag pages include comments about recent films and filmmakers, suggestions for dealing with filmmaking and distribution problems, and updates and reflections on a range of recent issues, including Gena Rowlands's and Al Ruban's attempts to suppress Ray Carney's artistic discoveries. The letters to Prof. Carney and his responses in the Mailbag link directly to many of the most important areas of the site and the final eight or ten pages of the Mailbag in particular discuss and offer links that go to the most recent material posted on the site. 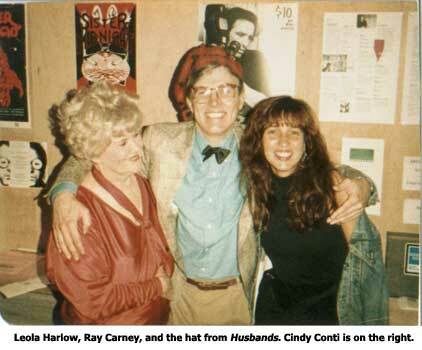 For a list of websites with material by or about Ray Carney, click here. 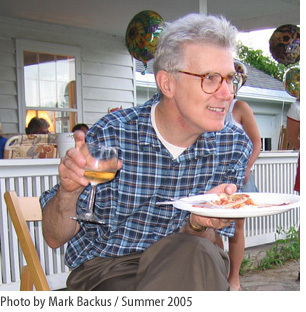 High-resolution JPG images of Prof. Carney are available here. The preceding is an overview of Ray Carney's life and work. To buy any of the books or articles mentioned, please go to the Bookstore section of the site by clicking here.